Speech has long been thought of as a uniquely defining characteristic of humans. Yet song birds, like humans, communicate using learned signals (song, speech) that are acquired from their parents by a process of vocal imitation. Both song and speech begin as amorphous vocalizations (subsong, babble) that are gradually transformed into an individualized version of the parents' speech, including dialects. 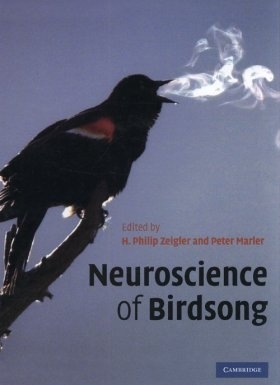 With contributions from both the founding forefathers and younger researchers of this field, this 2008 book provides a comprehensive summary of birdsong neurobiology, and identifies the common brain mechanisms underlying this achievement in both birds and humans. Written primarily for advanced graduates and researchers, Neuroscience of Birdsong provides an introductory overview covering song learning, the parallels between language and birdsong and the relationship between the brains of birds and mammals; with subsequent sections deal with producing, processing, learning and recognizing song, as well as with hormonal and genomic mechanisms.